Time for our Crazy Ingredient Challenge! If you haven’t visited before, this challenge is to create a recipe with two truly unique ingredients that are not traditionally cooked together. I always love to stretch my culinary skills and to share with you the results of the challenge. Each month and just keeps getting better and more creative. This is one group of talented chef’s who come up with these recipes! Do you want to up your kitchen adventure and be a part of the Crazy Ingredient Challenge? Ready to challenge your culinary mind? Shake it up a bit and have a new adventure in your kitchen in 2014 and 2015. If you want to be a part of this group, you can request to join our Facebook page or contact Dawn over at Spatulas On Parade. This month's ingredients were bread crumbs and citrus. Those ingredients leave a lot of room for creativity... A savory orange chicken? Crispy lemon tilapia? Turkey meatballs? I decided to make something sweet. 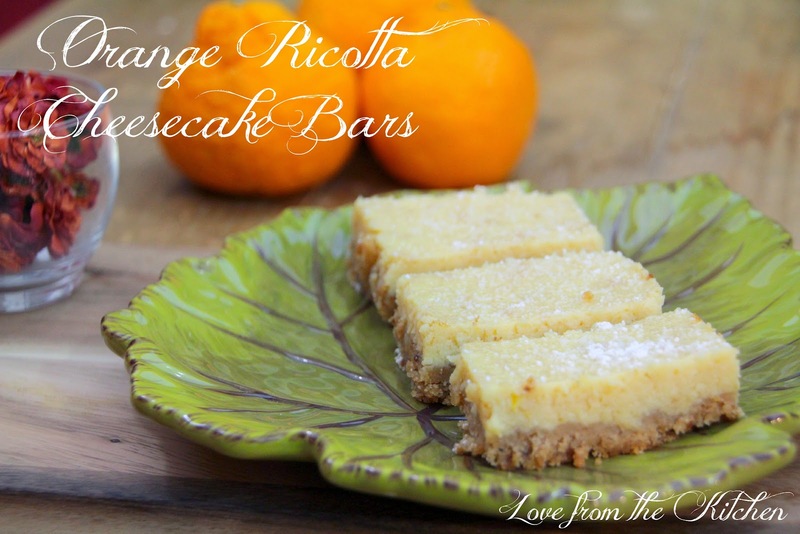 The bread crumbs gave the crust a beautiful crunchy texture, and the fresh orange juice was a perfect balance for the creamy sweetness of the ricotta cheesecake. 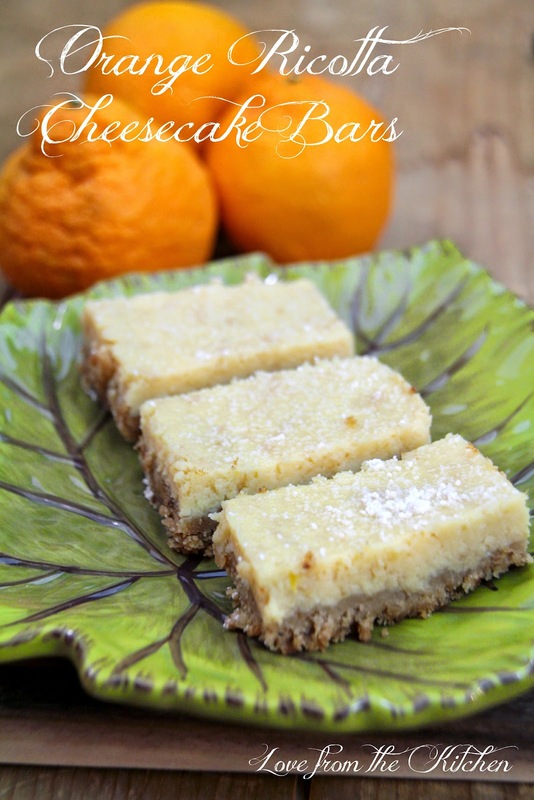 This reminds me of my Grandma's lemon bars - but a little lighter and creamy with a more subtle citrus flavor. 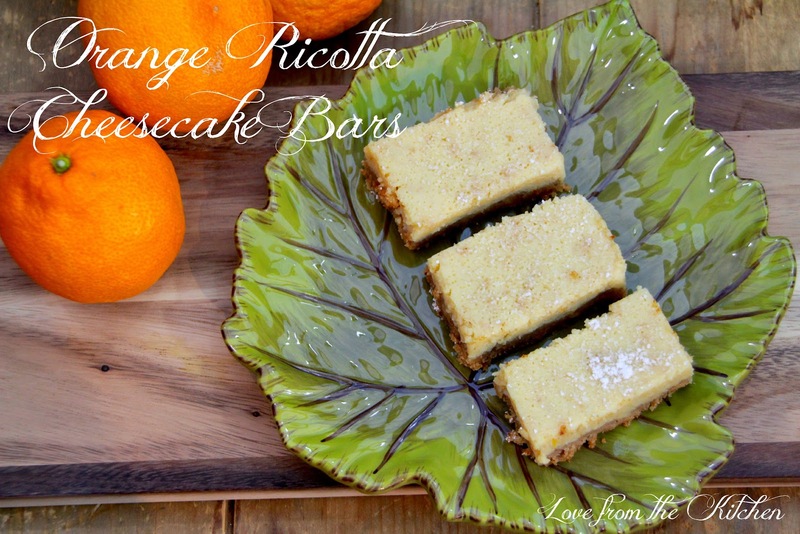 Before you get to my recipe, check out the wonderful creations from my fellow participants! Adjust oven rack to middle position and heat oven to 350 degrees. Lightly spray a 13-by-9-inch baking dish with cooking spray. Pulse flour, confectioner's sugar, cornstarch, orange zest, salt and orange blossom syrup in food processor. Add butter and process to blend; then pulse until mixture is pale yellow and resembles coarse meal. Whisk ricotta, eggs, sugar, and flour in medium bowl, then stir in orange zest, juice, salt, and vanilla to blend well. Stir filling mixture before pouring into warm crust. Bake until filling feels firm when touched lightly, about 30 minutes. Transfer pan to wire rack; cool to room temperature, at least 2 hours. Cut into bars, wiping knife clean between cuts. Dust with confectioner's sugar. 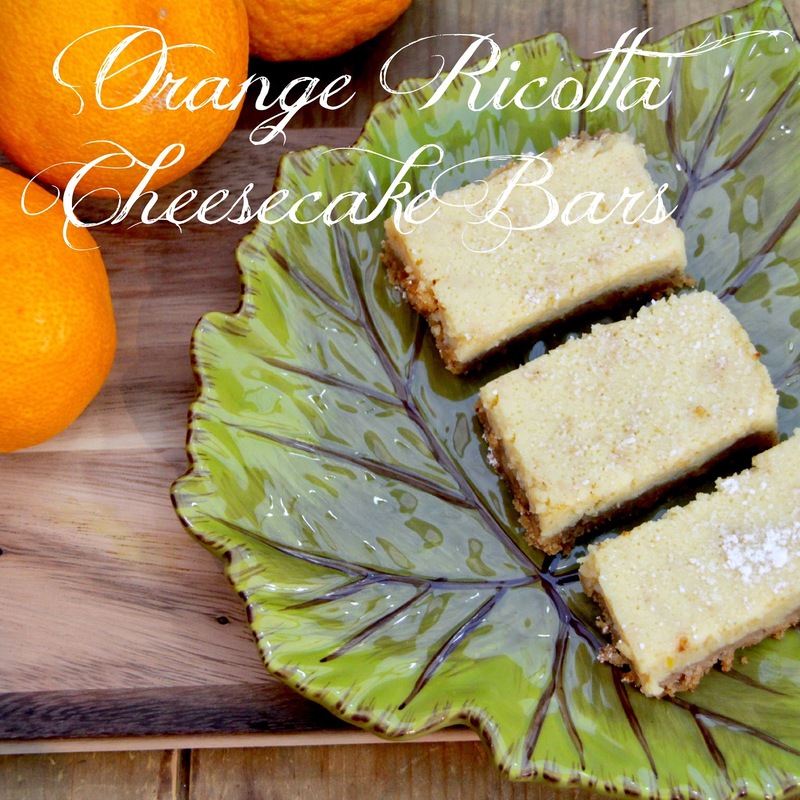 What a delicious twist on cheesecake! Sounds great! What a great way to use this months CIC ingredients. These looks so delicious! Delicious! I almost made cheesecake too.